The Indian animation industry is taking center stage, emerging as an important destination for outsourcing assignments from global studios such as Walt Disney Pictures and Cartoon Network. The country may be equipped with the requisite work force, but the real challenge is the talent crunch that the industry is facing at the moment. “Most animation institutes impart the basic skills required to get a job in the animation industry. However, to propagate the intrinsic artistic sensibilities and aesthetics within students rather than teaching only the software, which keeps upgrading from time to time, would never make an artist go obsolete. And that is our mantra!” says Siddharth Roy, Placement Head, Zee Learn, Zee Education Network Group, for Zee Institute Of Creative Arts (ZICA). 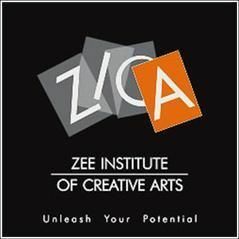 ZICA has come a long way as an institute that has instilled aesthetics within its students, which is an apt reason for it to commemorate its core values with an event, rightfully and aptly called Aesthetics 2014-2015, which would bring together all its students across the nation under one roof, on a common platform for the very first time in ZICA’s rich history of creating artists. Students from 30 ZICA centers from all across the nation will showcase their creativity on this occasion with short films in different formats. A jury formed for this particular event would formulate awards in different categories for the films that are submitted. The Aesthetics Award’s Night, which is to be held on the 28 February, 2015 would felicitate those artists with awards under various specific categories. Mentorship from industry stalwarts for the ZICA students is another program in the agenda of this two day event, wherein the much needed motivation and learning for the students would be imbibed from these industry honchos, who would be present in this event. Aesthetics 2014-2015 would also encompass to bring about solidarity amongst the students who have never met each other in their tenure at ZICA, because of the location factor. Being a part of one family and meeting fellow students who share the same career aspirations would bring about a sense of belonging. There are many institutes offering a variety of courses in Animation, where only a variety of softwares are taught but not really focusing on creating good quality work. Animation is a vast subject and private institutions have always tried to carve a niche for themselves by specialising in any one aspect of it. ZICA however is the first classical animation institute, which teaches every aspect of animation; from pencil-sketching to 2D classical animation to digital animation and all that comes in between, along with VFX, making animation education a complete process. This is why companies which recruit animators rank ZICA only second to NID and call it one of the finest animation institutes.